LONDON (AP) — The “Big 4” of men’s tennis were given the four highest seedings for this year’s tournament at Wimbledon. No. 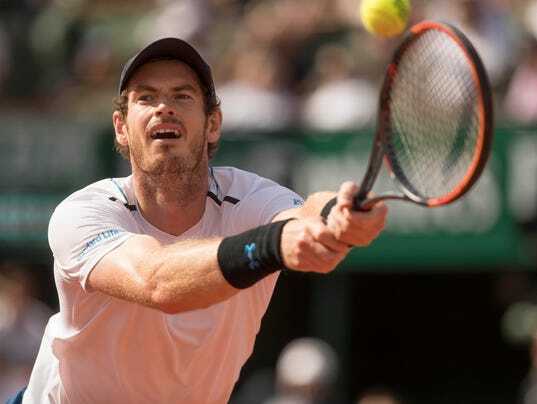 1-ranked Andy Murray, the defending champion, is the top-seeded player, followed by Novak Djokovic, Roger Federer and Rafael Nadal. Nadal and Djokovic are also in the top four of the ATP rankings, but Federer is No. 5. Third-ranked Stan Wawrinka, who has won the other three Grand Slam titles but not Wimbledon, is seeded fifth. Milos Raonic, Marin Cilic, Dominic Thiem, Kei Nishikori and Alexander Zverev round out the top 10 in the seedings. In the women’s seedings, Angelique Kerber is No. 1 in a list that mirrors the top-10 rankings. The only exception is the absence of No. 4-ranked Serena Williams, who is pregnant and skipping the tournament. That means fifth-ranked Elina Svitolina is the fourth-seeded player at Wimbledon, behind Kerber, Simona Halep and Karolina Pliskova.